Students who use the Georgetown Branch Trail to get to school in Bethesda will have to find another way. 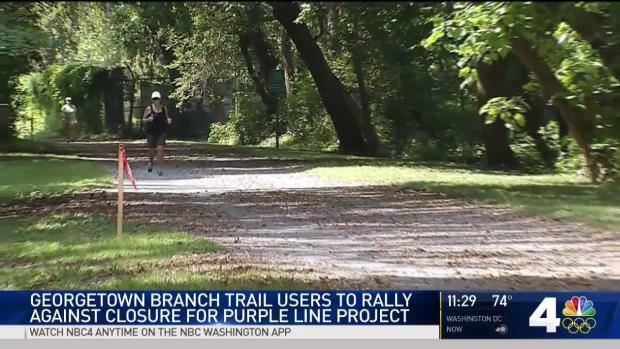 Construction on the Purple Line will close the popular trail tomorrow for up to five years. News4's Darcy Spencer reports. Opponents of a multi-year closure of the Georgetown Branch Trail held a rally on Monday in an attempt to keep the trail open. 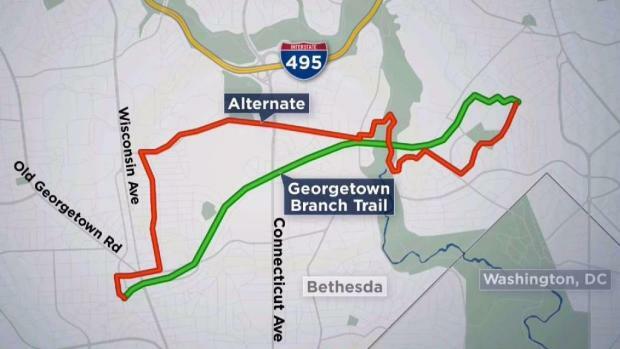 The popular trail that connects Bethesda and Silver Spring, Maryland, is set to close on Tuesday due to construction of the Maryland light rail project known as the Purple Line. Purple Line officials have said the trail will close for four to five years between Woodmont Avenue in Bethesda and Talbot Avenue in Silver Spring. During Monday's Save the Trail rally, activists gathered at a section of the trail in Bethesda. A popular trail between Bethesda and Silver Spring is set to close for years due to construction of the Purple Line. But opponents are fighting back to try to stop the closure. "We're encouraged by all this support. We're encouraged by the 1,600 people that signed our Change.org petition during a holiday weekend," said one man. The petition is asking Maryland Gov. Larry Hogan not to cut down trees, close the trail or allow "any other irreversible environmental harm" until courts make their final rulings on the Purple Line. 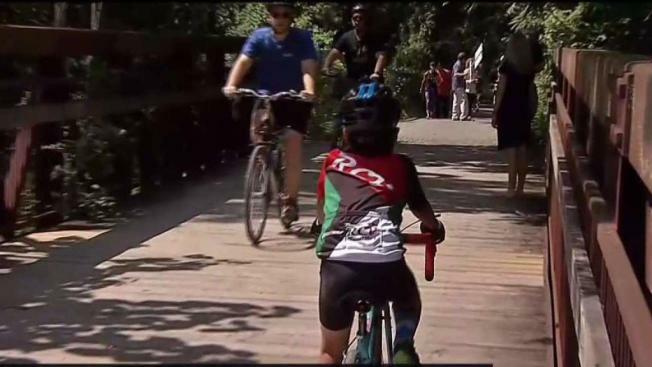 During construction, a detour route will take runners and cyclists along Jones Bridge Road, which some trail users have said is too busy and possibly unsafe, WTOP has previously reported. "Construction activity will occur throughout the length of the existing Georgetown Branch Trail. To ensure safety for trail users, the trail must be closed," said a statement on the Purple Line website. "Montgomery County Department of Transportation has established an alternate trail route for use during construction." The Purple Line is expected to open in 2022. Opponents of a multi-year closure of the Georgetown Branch Trail say the alternate route is not as safe due to traffic.